More on the Green Life website, and specifically this entry. Continue reading Green Life kiosk on St-Jean-Baptiste. Green Life, a group that promotes environmental awareness in the Montreal Chinese community, is today's cover story (aside from Lewis Hamilton getting the pole - eventually winning it) in the Gazette. A second story on take-out containers can also be found on page A4. Sandra Lee, our group's organizer, has a Wordress blog at http://greenchinese.wordpress.com/. I'd like to get ourselves a domain. 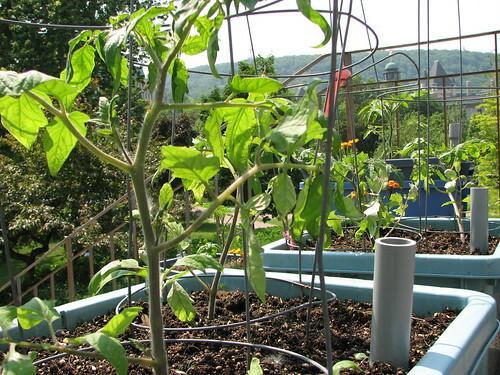 McGill University's Edible Campus project. See Urbanphoto. This page is a archive of recent entries in the Green category. Going to the movies is the previous category.